With today’s growing technology, online identity theft has skyrocketed. In previous years, identity theft usually could be prevented by shredding documents with personal information and locking up valuable documents like social security cards and birth certificates. But thieves are no longer targeting physical documents with information. They are going virtual. Thieves are continually finding ways to steal personal information from people online. Unfortunately many people do little, if anything, to guard themselves against identity theft online. Identity theft often occurs online through phishing emails. These emails appear to be from a legitimate company, usually a credit card or bank that you might do business with. These emails ask for you to click a link and give some sort of personal information. Sometimes a phishing email will ask you to verify a purchase that you have made. Some ask you to update your account information and others ask you to confirm your account to prevent it from being canceled. It is important to remember that companies that actually do business with you have more information about you than just your email address. Look for your name at the beginning of the letter. Call the company and ask them about the email to verify that they sent it. Hover your mouse over the link that they want you to click and a box will pop up with the web address that it will actually be sending you to. As careful as you are to check your inbox for phishing emails, you might not be completely successful. Some online identity theft is very subtle, because the thieves have had years of practice to perfect their technique. They also read as much information about identity theft protection as you do, so they know what to avoid. Because it is not easy to give yourself 100% protection against identity theft fraud, you might want to look into identity theft insurance. Having an extra level of protection against identity fraud can make a difference against today’s high tech thieves. There are many great options available to help you protect yourself from fraud and all the complications that come with having your identity stolen. It is certainly not worth risking, so it would be wise to invest in some internet security software or a identity theft insurance policy. 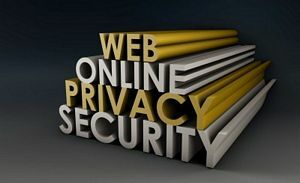 Being proactive about online identity theft is the best way to make sure that your personal information is kept secure. Have a Story or Advice to Share About Online Identity Theft? Do you have a great story or tips about online banking security? Share it! IT Governance Limited Disclosure: Identity-Theft-Scout.com is participating in the IT Governance Limited Affiliate Program, an affiliate advertising program designed to provide a means for sites to earn advertising fees by advertising and linking to their affiliate platform. We are looking for content related to cybercrimes and identity theft. There are tens of possible topics you can pick on these subjects. Moreover, we appreciate innovative issues, critical opinions, and solution-based articles on an area related to our main topics. In addition to the topics below, if you have anything else related to our line of interest, please let us know, and we will be glad to share with our readers. Identity theft recovery … and many more. Feel free to send us your submissions or topic ideas through our email address. We strive to respond to every request as fast as we can. Before working on a topic, please take a look at our guidelines we would like all writers to follow. Please feel free to drop us a line if you do not understand any of the guidelines below or have a suggestion. Articles should be written in English. And must be written following the steps mentioned here. All articles should be original and not copied from the internet even if it is your website. They must pass the Copyscape check before we can publish them. Headlines written following the guidelines mentioned here. Please, check the article using a spell checker tool (like as Grammarly) before sending the copy to us. Please provide a high resolution image for each 250 words (Though, we reserve the right of using the images provided by you). At least 3 images is required for a 1000 words article. The images must be from the free sources (like as Pixabay, Unsplash.com, or Pexels.com). The exact image source link must be provided under each images. If we publish your article, we will give credits to you. Besides, we will write a short bio of you below the article and link to your blog social media pages or website. We Pay Writers For Exceptional Contributions! Where a contribution meets our guidelines and is an exceptional idea to help our readers and community we will pay up to AUD50 for the contribution. Our editorial committee will be the sole judge of what is an exceptional idea. If you have an idea that you wish to pitch to us please use the contact email mentioned in this article. For the new freelance writers, it is a great chance to earn money online by writing for our website. This is to encourage you in freelance writing, blogging, and making money online. How Do You Submit Your Articles? Take a look at our published work to help generate unique ideas. Please check and double check that you’ve fulfilled all the criteria. We look forward to publishing your next article. Data Protection Officer For EUGDPR - Required or Not?